The festive season is creeping up on us so planning a Christmas night out is something that should be becoming urgent. The shops are already playing Christmas music and you cannot have missed the big, beautiful tree in Liverpool ONE, so that means it is time to play your Christmas nights out. 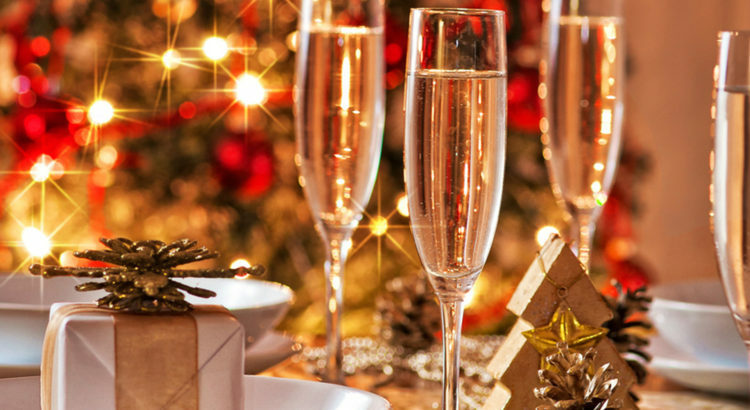 Of course there will be the Christmas night out with friends, the one with your work colleagues, maybe a catch up with some old friends or a get together with family that you only see once a year… Christmas nights out are a whole month’s worth of occasions! If your search for the perfect venue has found you looking for the best Italian restaurants in Liverpool, take a peek at Villa Romana’s mouth watering Christmas menu. We have something on offer to suit every occasion this festive season. If a Christmas night out is what you are looking for, we have a traditional Italian restaurant menu available for just £24.95 per person for three courses. If you fancy visiting us during the day or a break from Christmas shopping, our Christmas lunch menu is available for £14.95 for two courses or £17.95 per person for three courses. Both menus will be offered between 1st – 24th December. Tables can be booked now with a small deposit. You can’t beat Villa Romana for a Christmas night out in Liverpool. Our Christmas menu offers all of your favourites – which no Italian restaurant menu would be complete without – but with the special Villa Romana twist that has kept us ranked as one of the city’s best Italian restaurants for decades. Whether joining us for a festive lunch or a Christmas night out you can select from dishes such as FUSILLI FUNGHI AL SELVAGGI – spiral pasta and wild mushrooms with pecorino cheese in a creamy sauce, RISOTTO AGLI ASPARAGI E POMODORI ESSICCATI AL SOLE – asparagus and sun dried tomato risotto or POLPETTE DI MERLUZZO – smoked cod and spring onion fishcake served with rocket salad. Those are just a few of the starter options. The main course offers a selection of pasta, pizza, meat and fish dishes, all lovingly prepared by our talented chefs using locally sourced ingredients. To download our full Christmas menu visit our What’s On page. If you would like to make a Christmas night out reservation please contact us soon to avoid disappointment.